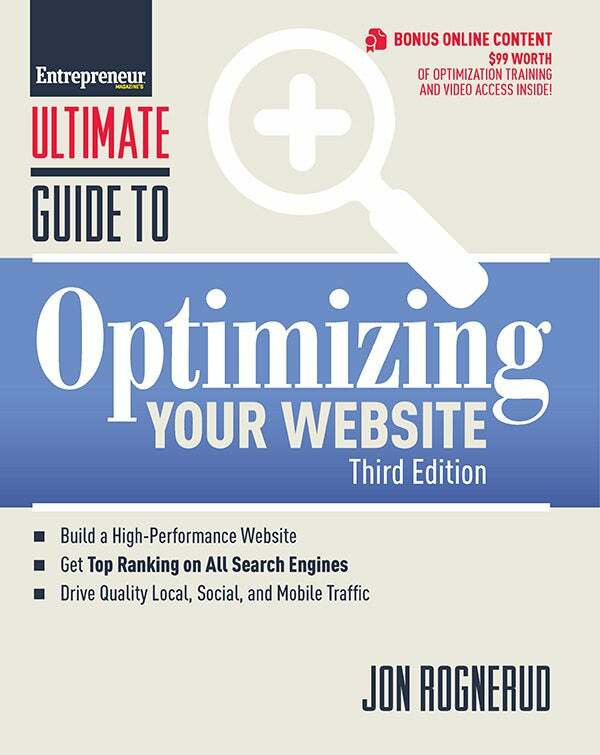 Build a high-performance website, get top ranking on all search engines, and drive quality local, social, and mobile traffic. Not only can these firms waste time and money -- they can actually hurt your website in the long run. If you're not using video content to promote your business, you're losing out. Read this to find out how to get a seat at the table. With good content and quality links, you can attract more visitors located closer to home and increase your business' sales. Attracting site visitors is easier of you have content they want to read. Find out how to use a blog to attract attention. Discover the best ways to get other websites to exchange links with yours. To increase your search engine rankings, it helps to know how your competitors are getting found. You must have these five commonly accepted factors in place if you want your online business to succeed. When designing your site, be aware of these content strategies, so you don't do more harm than good. Should you create site graphics yourself, buy it or use free artwork? Find out which method might be best for you. These expert tips can help you write site content that's SEO- and user-friendly. Follow these tips for selecting and buying a URL for your website that will help you attract site visitors. Follow this guide to maximize your visibility in regional markets. Don't let scam artists torpedo your online ad budget.